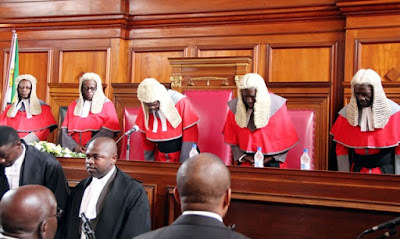 THE Judicial Service Commission (JSC) has recruited 60 magistrates to boost efficiency in the justice delivery system and reduce the case backlog at lower courts. This follows interviews conducted last week. Two hundred candidates had been shortlisted out of 700 applications received by the Commission. JSC Deputy Secretary Mr Munamato Mutevedzi confirmed the appointment of new magistrates but declined to give names of the successful candidates. “Sixty candidates were successful and have been appointed. They will be deployed to their stations after completing training,” said Mr Mutevedzi. He said the appointment of the 60 new magistrates will address shortfalls in the magistrates’ pool. “The appointments go a long way in alleviating the shortages which were being experienced. We cannot disclose the names of the candidates but what we can disclose is the final list of candidates per province,” he said. Mr Mutevedzi said from Manicaland, nine candidates were successful, eight from Midlands province, seven from Masvingo province, seven from Matabeleland South province, nine from Mashonaland East province, six from Mashonaland Central, three from Harare and seven from Matabeleland North province, which is combined with Bulawayo. Last week, JSC secretary Mr Walter Chikwanha told The Chronicle that the recruitment exercise was biased towards regional and gender representation. 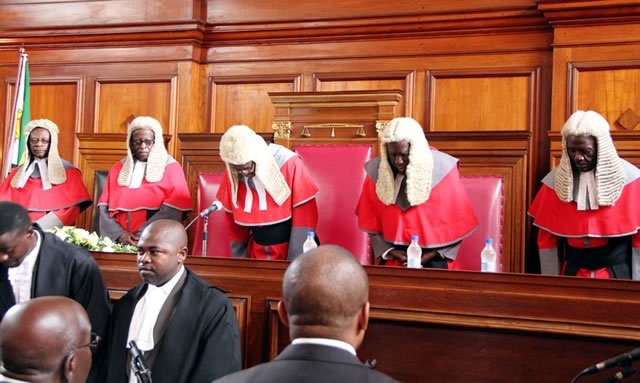 Government recently gave the JSC the green light to recruit 233 employees in a bid to oil the wheels of justice and to restore the functionality of the court and the recruitment of the magistrates is the beginning of a massive recruitment exercise. The unfreezing of the posts will result in the organisation recruiting 70 magistrates, 37 court interpreters, 15 clerks of court, 51 assistant registrars, 30 judges’ clerks and 30 drivers between July and November this year. With effect from September 1, the JSC will recruit 10 court interpreters, 20 assistant registrars, 10 drivers, 10 judges’ clerks and the last batch of 10 magistrates. In November, the commission will recruit 15 clerks of court, 31 assistant registrars, 20 judges’ clerks and 10 drivers. Meanwhile, Prosecutor General Advocate Ray Goba has said the National Prosecuting Authority was in the process of conducting interviews, more than two months after receiving applications. A record 876 lawyers applied for vacancies to fill the positions of public prosecutors, senior public prosecutors, principal public prosecutors and chief public prosecutors.